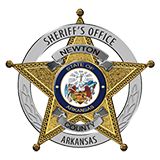 Newton County Sheriff Keith Slape said that searches from the Newton County Sheriff's Office and the U.S. Forest Service located a missing hiker in the Hawksbill Craig area in Western Newton County. Searchers found Catina Casteel of Huntsville who was reported missing by her brother and friend after they walked to the craig. Her companions called the Sheriff's Office with fear that she had fell from the craig.